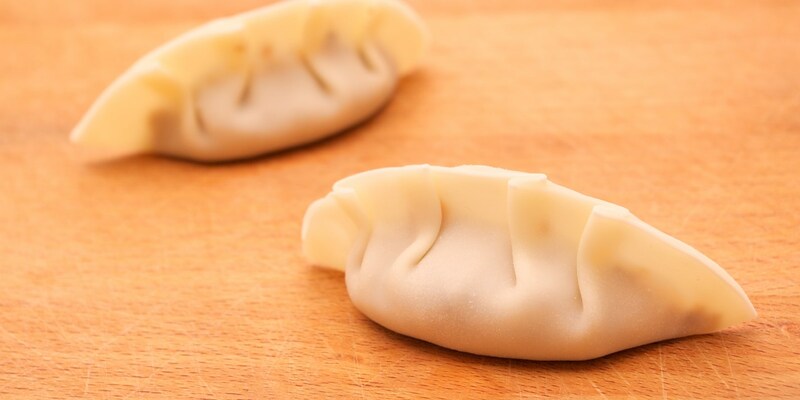 Boiled or steamed dumplings (called jiǎozi in China) are often eaten as part of Chinese New Year celebrations. Wonton wrappers are easy to find but need to be cut with a round cutter and take slightly longer to cook than gyoza wrappers, which can be found in Asian supermarkets. Pork is the most traditional meat filling, however, the choice is yours. You could use prawn or turkey mince instead or tofu for a vegetarian option. These dumplings would be perfect as part of a dim sum platter, along with Nancy’s Harbord’s Spicy mushroom vegetarian dumplings and James Ramsden’s Duck dumplings. Tong Chee Hwee’s delicious recipe for Har Gau (prawn dumplings made with potato flour) would also be a great addition.